Kathleen Peacock’s thrilling novel is the first in the Hemlock trilogy, a spellbinding supernatural mystery series filled with provocative questions about prejudice, trust, lies, and love. Looks good, doesn't it? :) Kathleen chose the inimitable Captain Jack Sparrow as her interviewer. Before we reveal today's gorgeous cupcake and get into the interview, let's meet today's guests. Now that you know who's who, it's time to reveal the beautiful (and disturbing) cupcake my hubby made in honor of HEMLOCK. Mac is thrust into the conflict when her best friend, Amy, is murdered. It doesn't help that Amy (bloody and carrying a bit of a chip on her shoulder) keeps talking to Mac in her dreams. 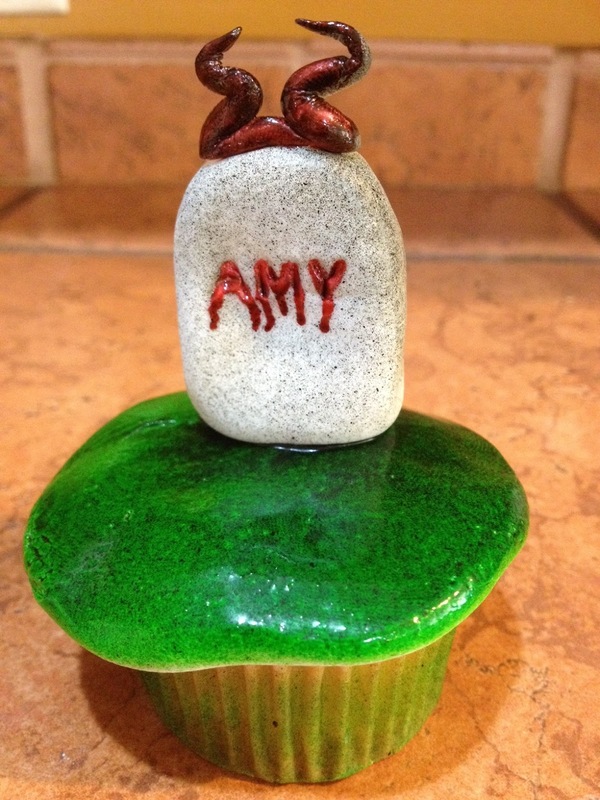 So, my hubby made Amy's tombstone, complete with bloody horns to show that Amy refuses to stay in the ground where she belongs. Without further ado, I give you the cupcake and Kathleen vs. Captain Jack. Since my heart has belonged to the Dread Pirate Roberts since I was, oh, nine, I’m going to have to go with “pirate.” You’re not so bad looking yourself. 2. I don't know who this Dread Pirate Roberts person is, but he'd better not try to get his sticky fingers on the Pearl. Losing my ship to some scurvy nave who uses "Dread" as his first name would be inconceivable. What’s your favorite thing to do in Tortuga? Not get killed. Or scurvy. 3. I am also a fan of not getting killed. I’m offering you free passage aboard my ship to anywhere in the world. Where shall we go, love? 4. Another Captain Jack? 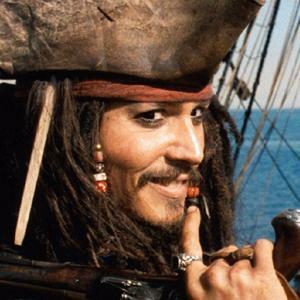 *curls lip* I am the one and only Captain Jack Sparrow, savvy? Accept no substitutes. Who is the hero of your story most like: me (savvy, debonair, and unquestionably smooth with the ladies), the insufferably honorable Will Turner, or that deceptive little minx Elizabeth? Elizabeth. What with the sword swinging and such. 5. *shudders* Heaven save us from women with swords. Rum? Or more rum? How close am I to a deadline? 6. Hmm, I see your rum consumption is directly related to your publishing career. Which leads me to the age old question: Why is the rum always gone? 7. What’s the most piratish thing you’ve ever done? Does watching fanvids on YouTube count? 8. Darling, we really must get you out of the house more often. Are they rules? Or more like guidelines? Guidelines. And loose ones at that. 9. Now we're talking. I understand you’re a story-teller. Any undead monkeys in your stories? Not yet—although there’s always hope for book three. No curses, but there is a maybe-ghost. And my stories always have women who take matters into their own hands. 11. As long as they don't take my rum into their own hands, I think I can live with it. One of my favorite words is “egregious.” Care to share one of yours, love? Wowzer. It’s totally a word. 12. It sounds rather like a condition that requires a cream of some sort. Parlay? Or draw your sword? 13. Darling, knowing when to flee so you can live to fight another day isn't cowardice. It's resourcefulness. You’ve got a crowd of cursed sailors and a nasty sea monster on your trail. How do you escape? 14. Romantic night in? Or adventure on the high seas? Night in. I talk a big game, but I’d rather write about adventure than experience it. 15. Perhaps you just haven't had the right partner for said adventures. *winks* My personal motto is: Take what you want, give nothing back. What’s yours? “When life gives you lemons, throw them back.” Actually, I never said that. My friend Jen said it when we were in high school. As far as mottos go, though, it’s not bad. I wouldn’t necessarily put it on a T-shirt, but it would do in a pinch. Thank you, Kathleen, for such an entertaining interview! 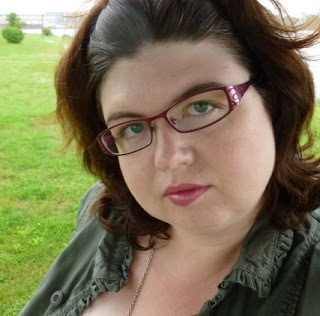 To learn more about Kathleen, visit her site. To purchase your own copy of HEMLOCK, head to Indie Bound, Barnes & Noble, or Amazon. But the fun isn't over yet! 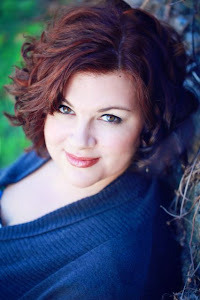 Kathleen is giving away a copy of her book along with a signed bookplate! The giveaway is open to North America and is open until 8 p.m. central time Wednesday, May 30th. To enter, simply fill out the form below. Great Giveaway. I can't wait to be able to read this. Thank you for the chance. This is way awesome. Nothing like starting your day out with pirates and authors =) Great interview - so much fun. Thanks for the much-needed laugh this morning, and for the chance to win your book. I'm dying to read it! I really want to read this awesome book!!! Love the cover as well!! Thanks for the great giveaway!!! You had me at werewolf...but any and all mention of the Tardis sealed the deal. Seriously, I was just reading this interview whilst taking a break from shopping for a Dr. Who bumper sticker. If you send me a copy of your book, Kathleen, you can come with me to Cardiff this summer and fly the TARDIS with me and my son at the Doctor Who Experience. Bribery works, right? I have heard a lot of great things about HEmlock and i cannot wait to read it! Looking forward to reading Hemlock. P.S. My favourite word is OMNBUS. Werewolf? Yes!!! Also, swords are great. A Katana is definitely for the win! I'm looking forward for the undead monkeys! (they are one of my favorite animals! Your talking about Jack from Torchwood? I jus finished season 1 last night and I can't believe all of the male on male make out scenes. Another great interview! I think it is a good thing to be a bit of a coward when it comes to violence, I sure am! OMG! This book has been on my TBR list for what feels like forever!!!! I'm usually not a huge fan of werewolves books. Shiver was a great start to that series, but for me, Linger fell flat. I couldn't even finish it. The Dark Divine is the same story for me. I do believe that Hemlock is the book for me though, to sway me over to the "werewolves are all right" side. Thanks for the interview and giveaway! I am more than ready for this book to arrive on my bookshelf. It has been on my Goodread TBR list for almost a year, it seems, taunting me to no end. 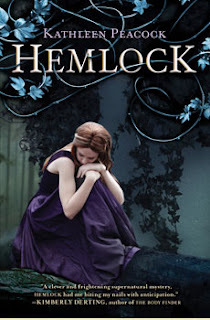 I have heard so many great things about Hemlock and I am so excited to read it. 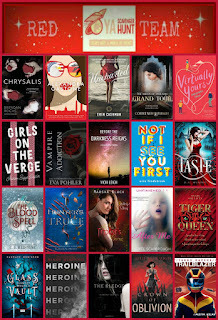 Thanks for the great interview and book giveaway!!! I will so try to win this giveaway Thanks much!